The Butchers Arms Sheepscombe has been in CAMRA’s Good Beer Guide (GBG) in recent times for at least the last six years. 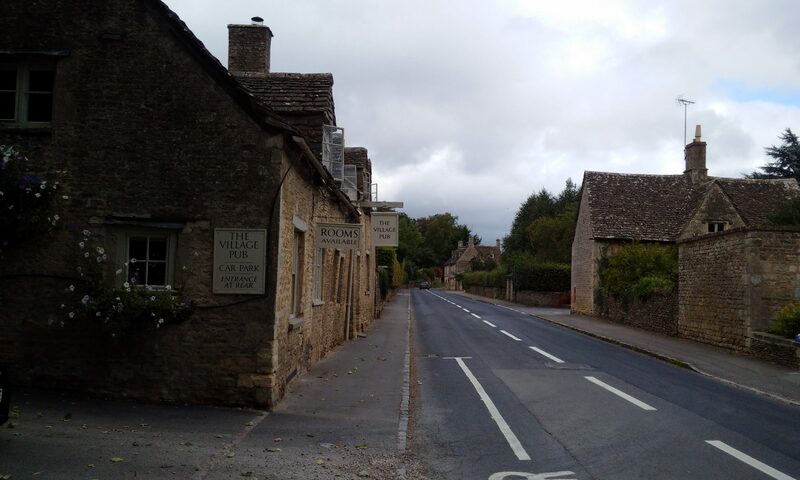 There are only seven pubs from the whole Stroud area in the GBG which stretches from Stonehouse in the west to Painswick in the north, Nailsworth and beyond in the south and Frampton Mansell in the East. There are only about 50 pubs in the whole of Gloucestershire in the guide. How has the pub managed this admirable feat? Firstly, they have been assessed as a ‘Very Good Candidate’ the second highest category for entry in the GBG through beer quality assessments carried at least three times a year by a small team of CAMRA members living in the Stroud District. At least two members pay an unannounced visit to the pub and taste all the cask ales available and grade the beer in terms of quality from a 1-5 range. 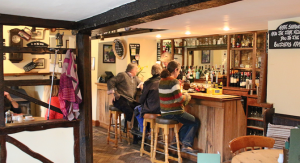 The pub is then assessed as to the quality of its ‘ambiance’ which includes not only atmosphere, but community engagement and other services such as food. These assessments are logged by the local CAMRA team and in January/February the Gloucester CAMRA Branch discuss candidates for the GBG for the following year. The Butcher’s Arms passed all these hurdles with flying colours. Secondly, Sharon and Mark have shown dedicated commitment to the introduction to regulars and more distanced visitors to a wide range of ales from around the country. 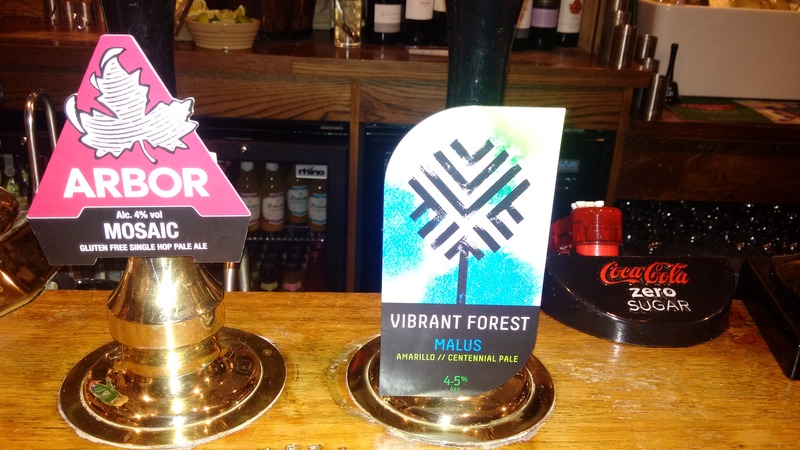 They have seen it as their responsibility to generate an interest in ales thereby helping the on-going discussion in the pub about the nature of ale and highlighting for us the varied flavours available from small and medium sized county brewers. They have had ales from over thirty small brewers from as far away as Yorkshire to Brighton. Some memorable ones for me have been: Moor Brewery- Nor’Hop (Bristol); Moorhouse-Stray Dog (Lancashire); Dark Star- American Pale Ale and Sunburst (Brighton) and the Pig & Porter- Fatal Flaw and Skylarking (Tunbridge Wells). They have more frequently had ales from county brewers such as St Austell, Otter, Wye Valley and Butcombe, all from the South West. Thirdly, they researched local tastes carefully and decided on a very flavoursome permanent ale, Prescott’s Hill Climb from Cheltenham which, for a 3.8 ale, is packed with flavour. Fourthly, they added an upcoming Ale Board to the side of the bar to inform regulars which ales are in the pipeline, giving the ever discerning and adventurous customer something to look forward to and tempting those who like the regular ale to be a little more daring. Sharon and Mark like ale and are interested in providing a service beyond the normal and to help our travels across the ale world of the UK. They are not afraid to put on ales from small breweries that cost sometimes, 30-40% more than standard mass produced boring beers because what matters to them is ale quality and ale adventures. Long may it continue. 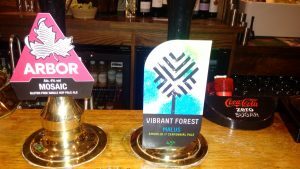 Bob Jeffrey – Grateful appreciator of flavoursome and exciting Ales.